Yesterday I made two cards for two different challenges. I am nearly back to normal after hurting my back so can get back to crafting more often again! 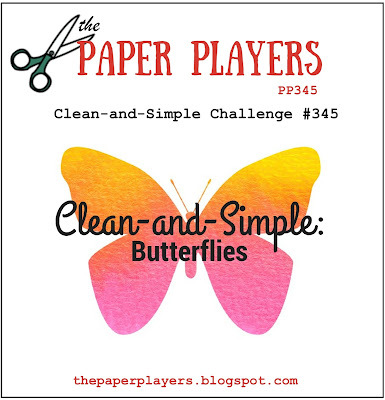 The Paper Players challenge is a CAS butterfly card. This card came together in record time. 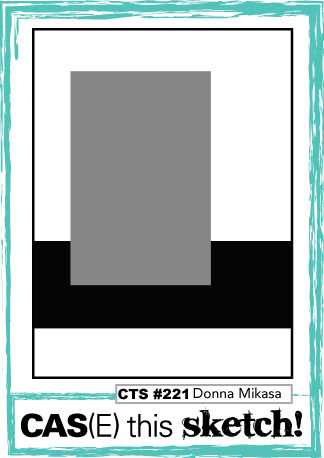 I have used the new (available to buy from 1st June) DSP paper Colour Theory Designer Paper Stack, comes in 6x6" 48 sheets. Its a really lovely paper stack. 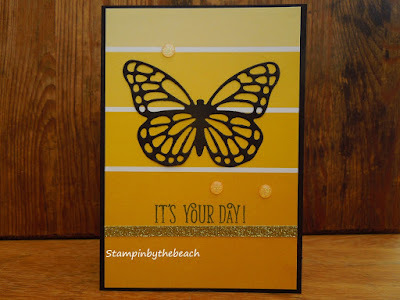 The butterfly was cut from Basic Black card stock with the Butterflies Thinlits. I added a strip of gold glitter paper and some glitter enamel dots. 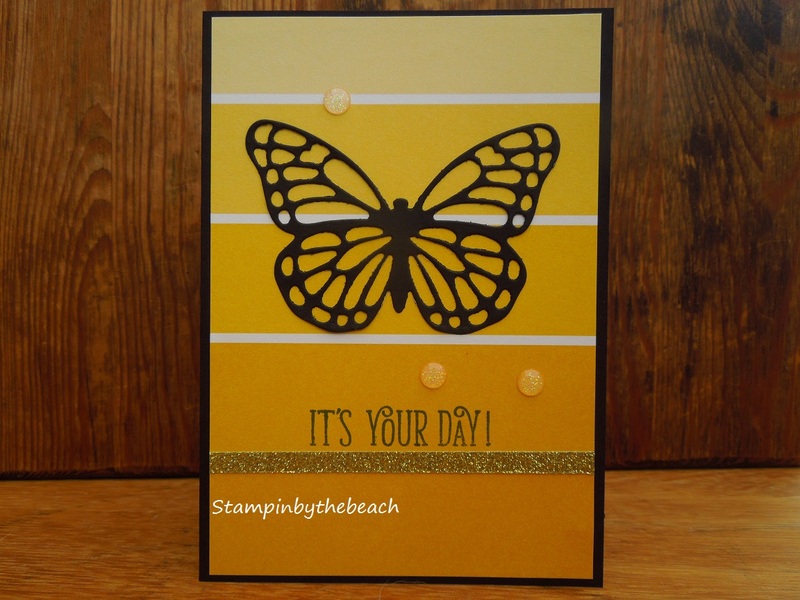 The sentiment came from a new stamp set called Happy Birthday Gorgeous. I decided to use black card stock as the base to make the yellow background pop. 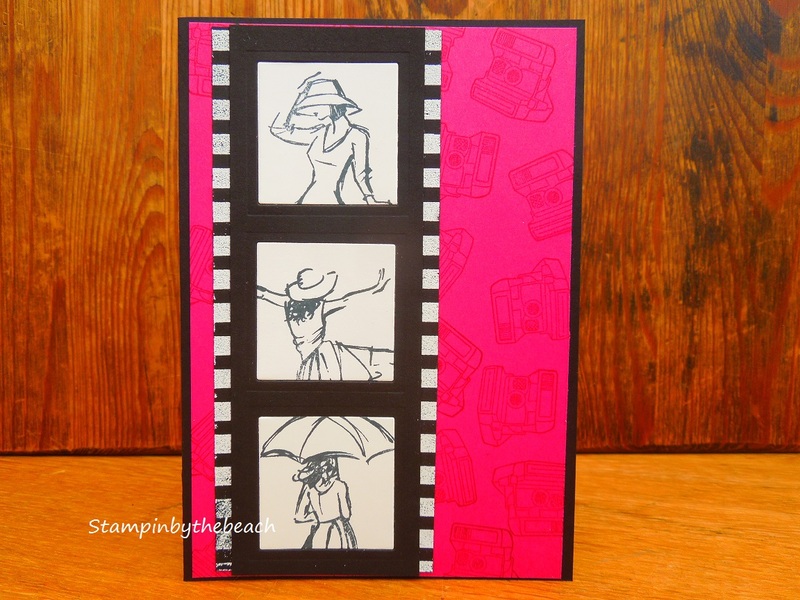 Hope you like it, if you like any of the products used to make my card, click on my shop tab above. The paper, and dots will not be available until 1st June when new catalogue starts. I've opened my new DSP Pick a Pattern and love it, this normally means I don't use it, hoard my favourite patterns for best. Not going to do this anymore, I will use all my favourites and then just order more, simple. This new DSP is available from 1st June in the brand new catalogue, not long to wait now. 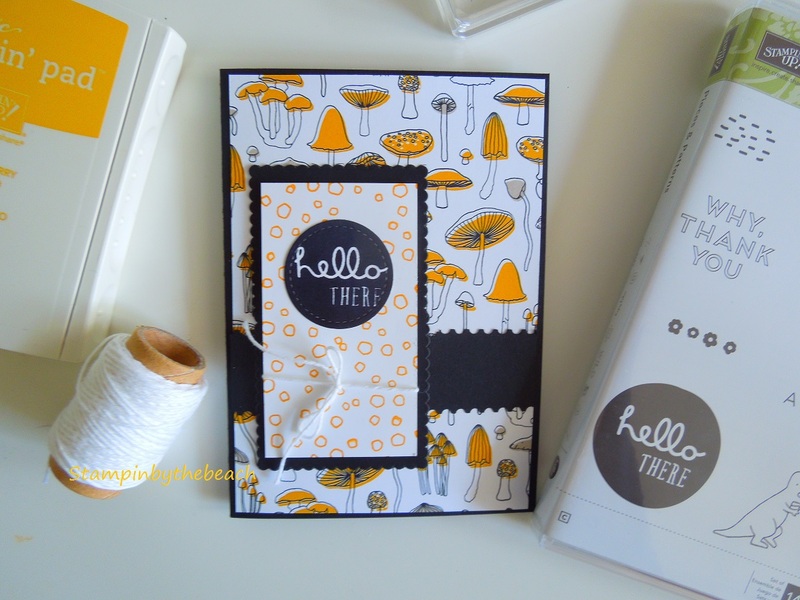 Love the mushroom paper, all you need to do is cut a layer of paper and your card is nearly finished! I've used the Pieces and Patterns stamp set to add crushed curry to a piece of white card stock, added some whisper white thick bakers twine and the great Hello There stamp also from Pieces and Patterns stamp set. 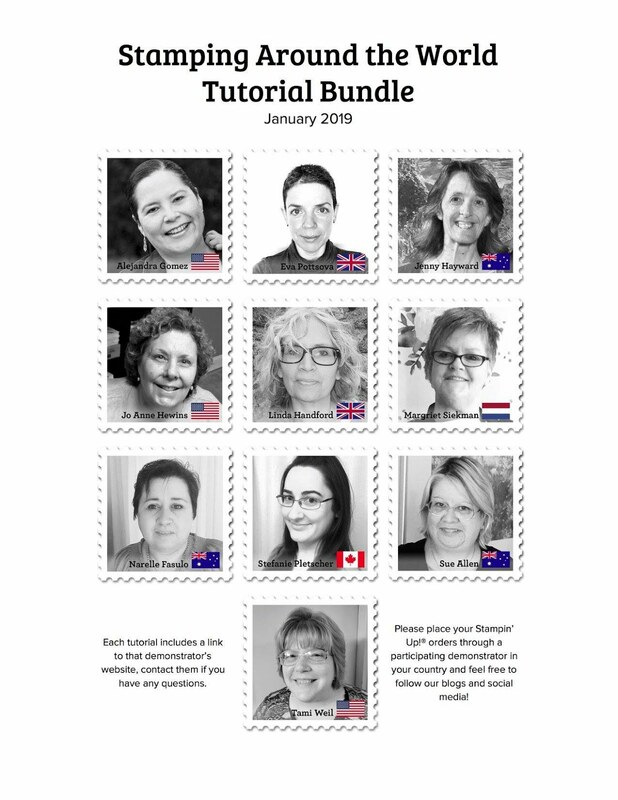 So as a demonstrator you get to pre-order from the new catalogue. I fell for this stamp set and DSP so was really pleased it was on the pre-order list. I received this week but I've been working on some 80th Birthday invites and wasn't able to play. Husband playing cricket today and in between helping with homework on the plague I made this card. 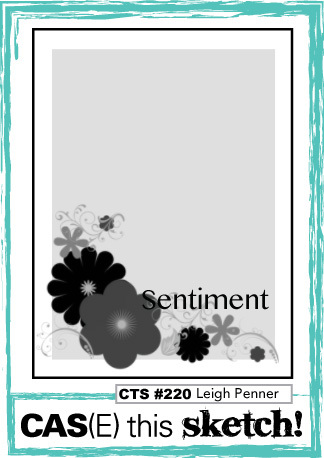 I started by stamping the flower stamp from Pieces and Patterns set over a whisper white piece of paper. I then cut two strips of basic black and used my new Ticket Tear Border punch. The Designer paper is great from this suite, I cut a piece and glued the black ticket tear to the underside, so it peeked out. 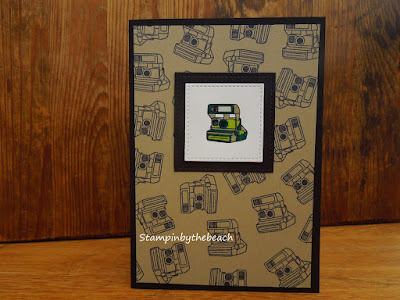 The white square was die cut with the Stitched Shapes Framelits and Hello There was stamped using Basic Black ink. It needed a little something else so I pulled my Emerald Envy marker out and coloured the flowers of the background. Quick and easy card and all the better as it was just a fun make. The Ticket Tear stamp, Pieces and Patterns stamp set, and Pick a Pattern DSP will not be available to purchase until June 1st, but markers, paper and Stitched Shape Framelits are available now. If your interested please pop up to my tab and click on Shop, if your spending over £25 use this months Hostess Code. 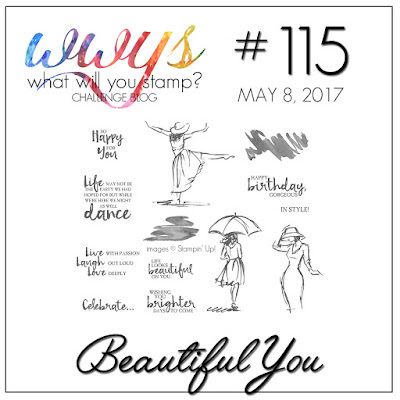 Joined in with What will You Stamp, been looking at this challenge site for a while but this was the first time I had the stamp set used in the challenge! I have been making 80th Birthday invites this week so nearly missed my chance. 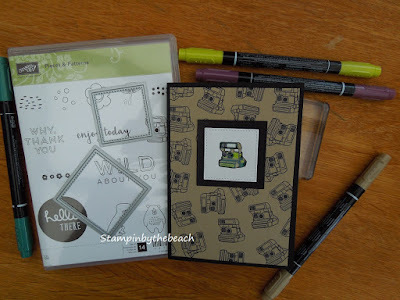 This was not a instant grab me stamp set like some are, but I thought my ladies in Card Class would like it so I brought it and have used it quite a lot. My Blog has been neglected recently due to me hurting my back, ouch! I have had a muscle spasm and it has really slowed me down. Still sore but starting to do some normal things again. 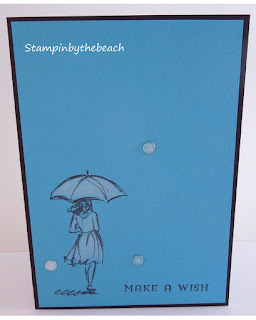 I used card backgrounds from the subtles collection, Marina Mist, So Saffron and Soft Sky. 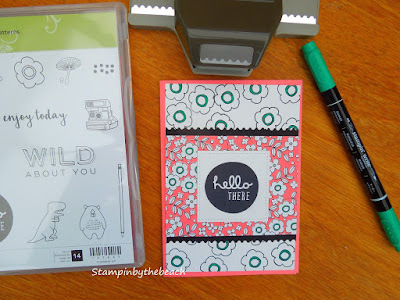 I stamped on the Subtles DSP for the spotty dress and glued to the card, the other two cards I used Stampin Up's water colour pencils to gently colour in. 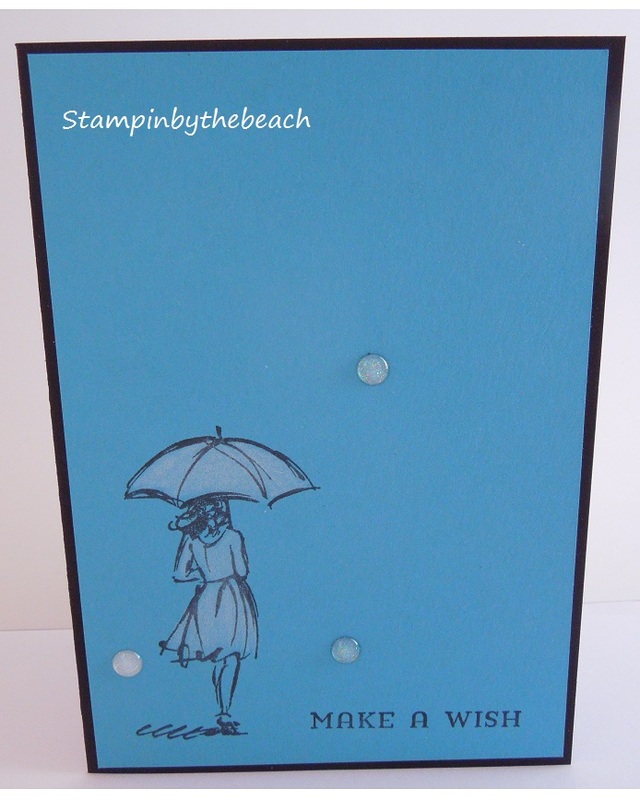 All the bases were Basic Black, I cut another piece of cardstock for inside the card in same colours just so you can write your message inside. Last Sunday I was lucky enough to attend an event arranged by my Upline, Katy Freeman. We had the opportunity to see and play with some of the product which will be available to purchase in June. Can't wait for the new catalogue! 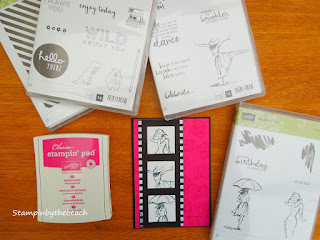 At this event I was gifted some of the new sticky embellishments which I have used on these cards, they sure are going to be a favourite with me and I plan to get some more very soon.